Champagne Goose Nagoire Feathers approximately 5-6 inches in length x 1 yard units, are strung (sewn) together near the tip of the quill. 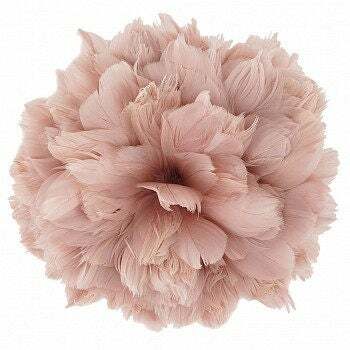 The top of Goose nagoire feathers are round and slightly curved like a rose petal shape ranging between .50-1.25 inches wide. Strung feathers are easier to craft with and makes for a neater work area.